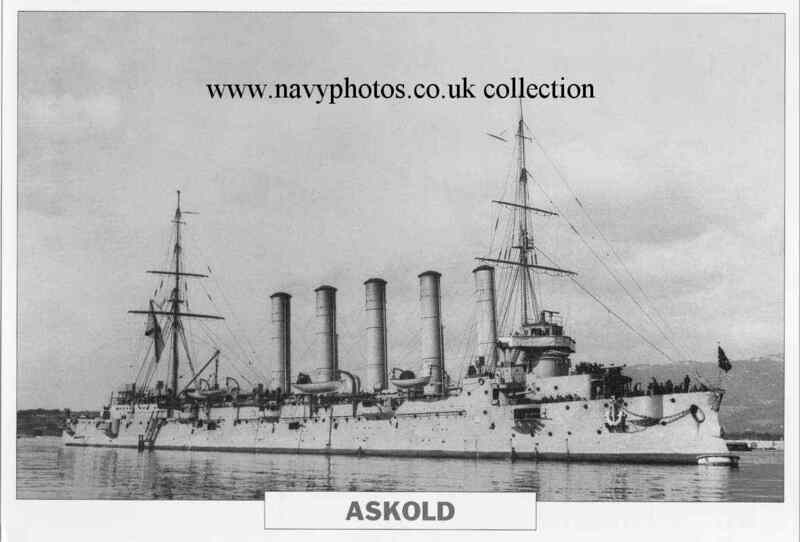 Askold ( Imperial Russian Navy) - 3 photo's. photo2 above courtesy of Mr. David Downey. This grave has presented me with a bit of a mystery. 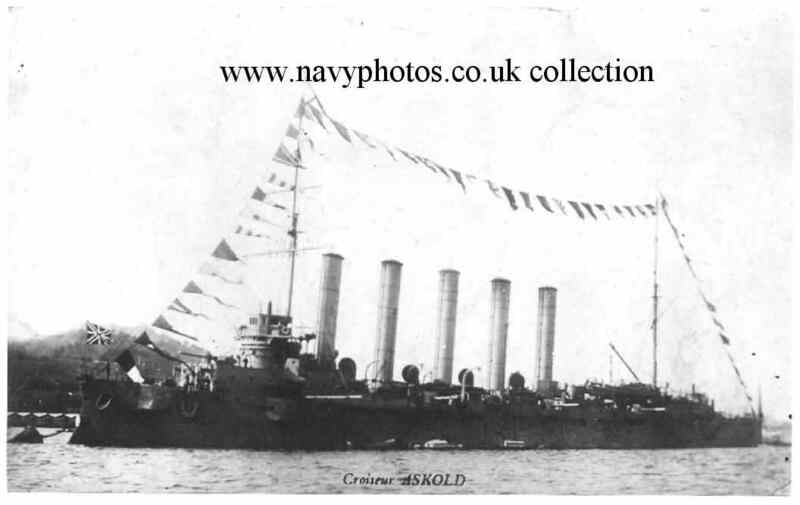 I have had the inscription translated and it is for a "Peter Ogorelkov" who was a "Stoker / Fireman" on the "Askold". 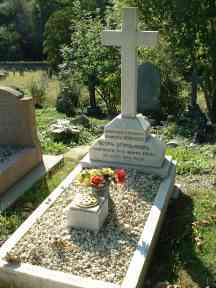 He died whilst on board her aged 27 on March 7th. 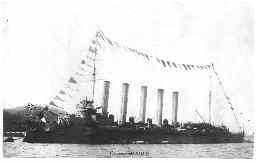 1917 whilst she was here at Devonport during repairs following a refit at "Toulon" over Xmas 1916. She had been serving under RN control in several theatres and it is known there was unrest developing on board her from "Communist sympathizers". 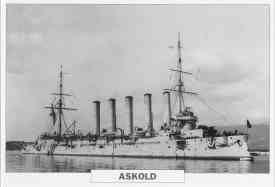 Several of her crew were punished, how I do not know, but were possibly shot. I have tried to obtain details of his death, to no avail, from both the Russian Embassy, and the Ford Park Cemetery trust in Plymouth, where his grave is located. and it also received a visit from some of the crew of a visiting Russian warship who held a memorial service here. I am now quite intrigued as to who "Peter" was and what had led to his death. via my "Contact Me" page. Return to "Index 23" - Victorian Navy.